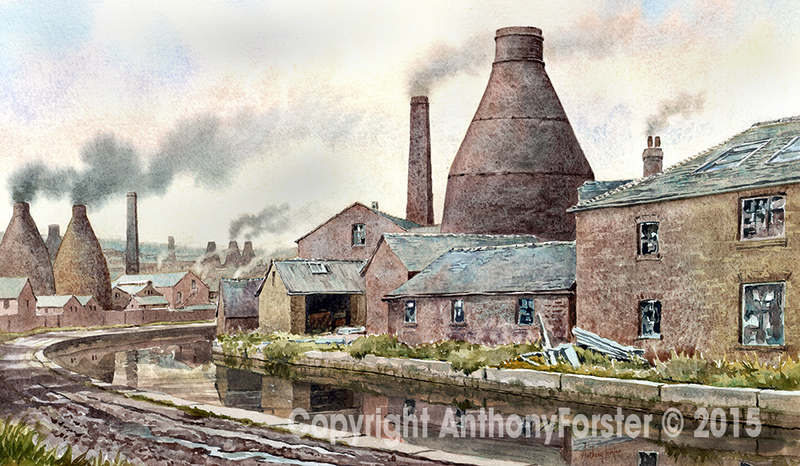 as Prints - in various formats and sizes. 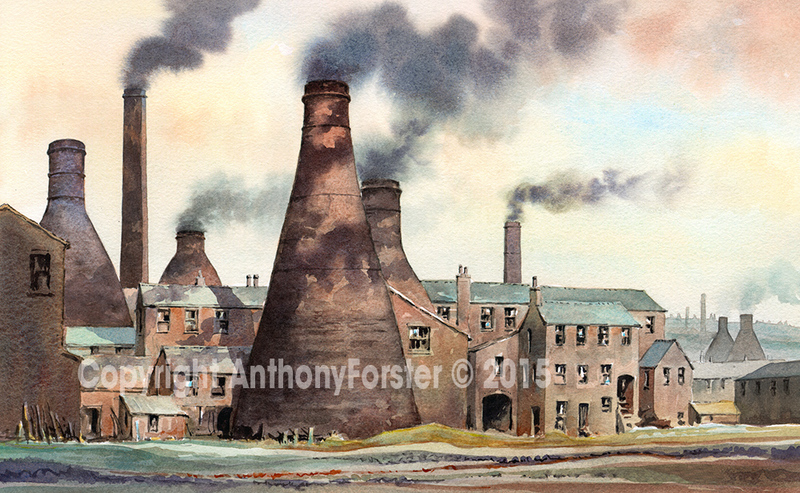 and also as Greetings Cards. 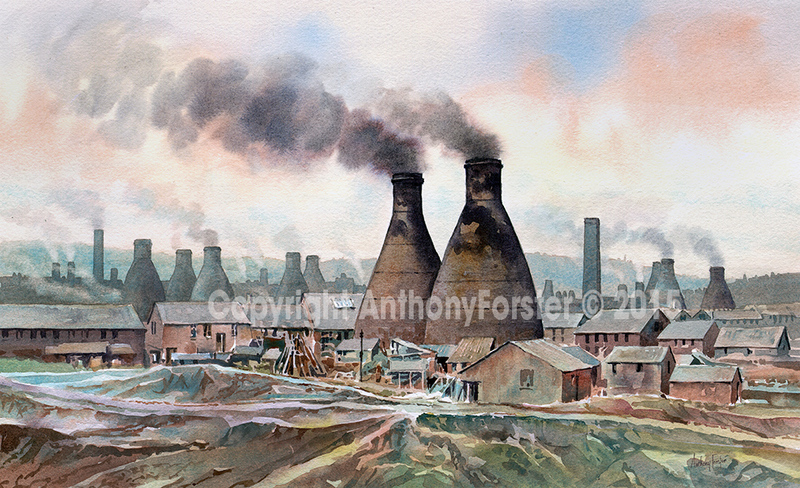 including available range of sizes and prices. 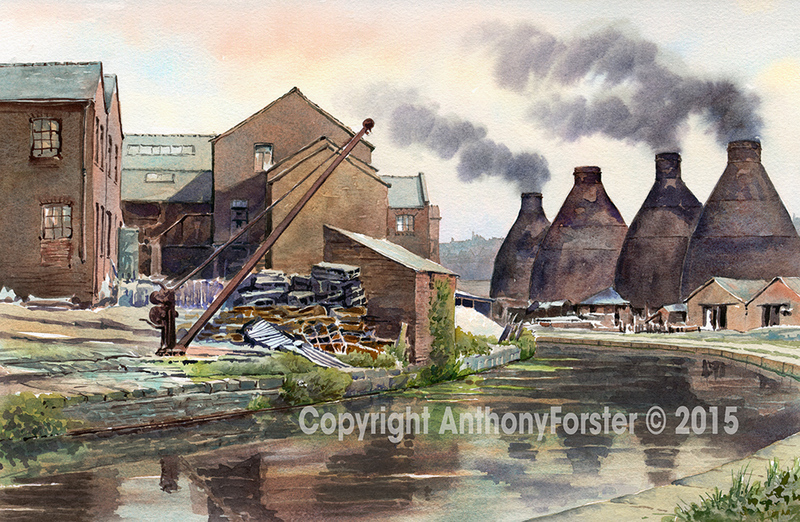 There are two versions of this picture, though painted as a watercolour, I wanted to see how it would look with a textured oil painted finish which is how it looks above. 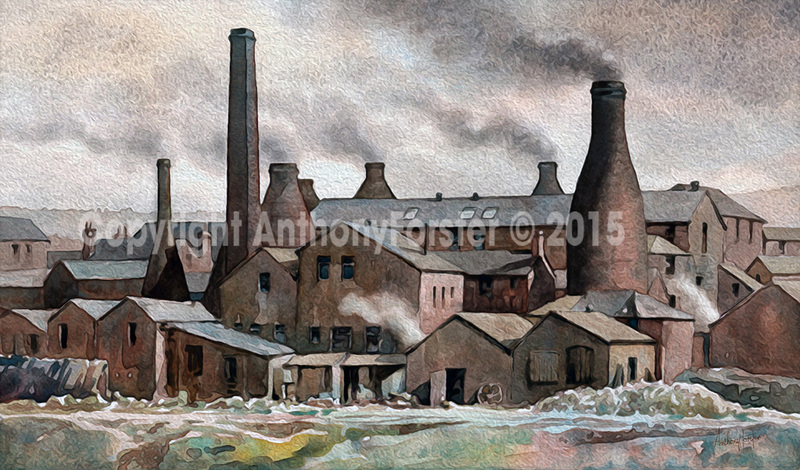 The painting is the rear view of Price Kensington teapot factory Longport near Westport lake. 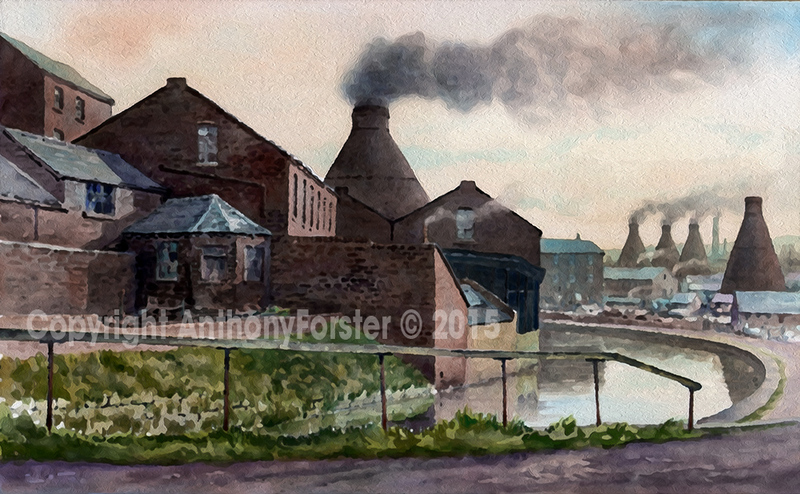 The painting below is another view of Price Kensington's Longport teapot factory, viewed from the Packhorse Inn a half mile or so away from the above view. 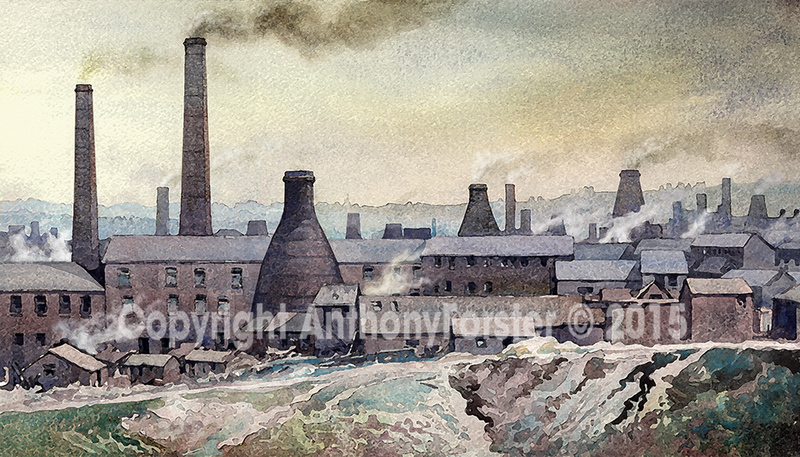 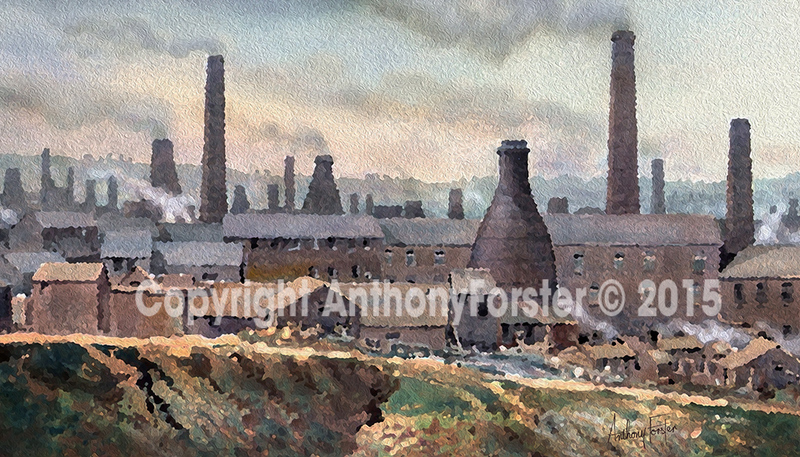 The painting below is based on a typical Marl Hole close to Longton the home of many potworks both small and large. 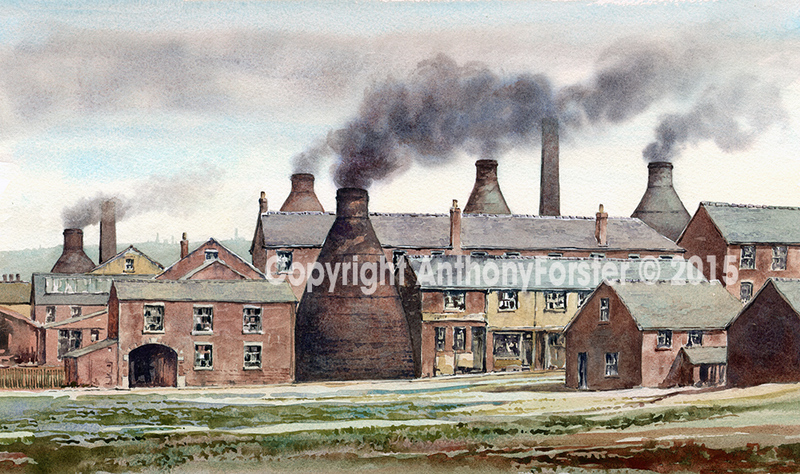 The two bottle ovens stand guard over the deep hole that has provided marl clay for generations of potters.